As Deepavali is approaching, many would want to start to prepare cookies for visitors. I know of a few Hindu friends who are 100% fully vegetarian- and they do not take eggs. Most of the homemade cookies sold today contained eggs. 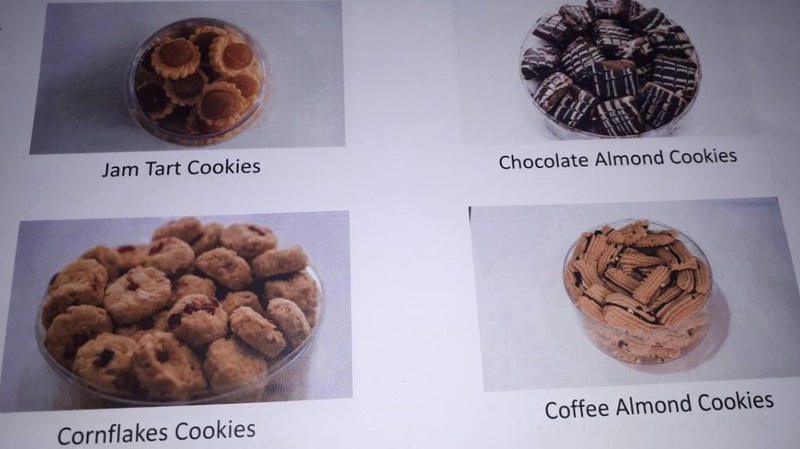 Knowing the predicament of some friends, I contacted Kasturi Caters as I know they do provide pure vegetarian cookies that does not contain eggs. I have ordered cookies from them before and the cookies are often freshly made. 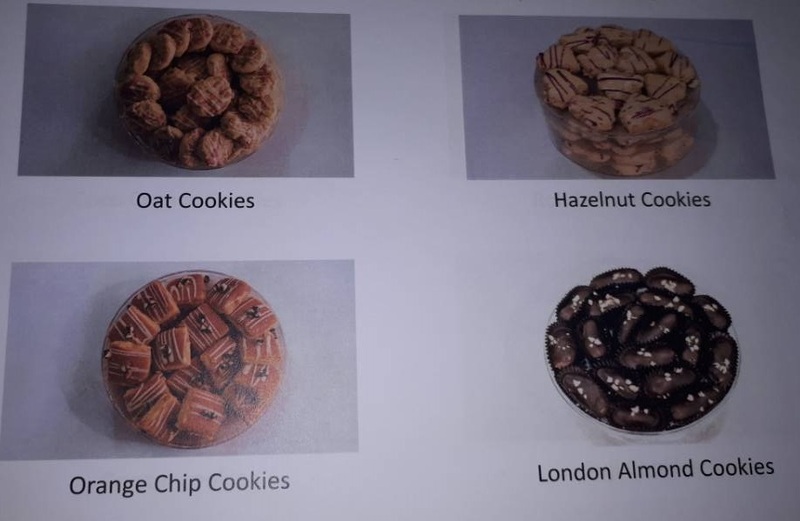 My favourite is their chocolate almond and London chocolate cookies. Hopefully, this will help for those who are purely vegetarian as well as for those who are serving vegetarian friends this coming festive season. Note: The cookies are actually available whole year round. Do call Kasturi Caters directly for any orders. Above: Peanut and marble cookies. 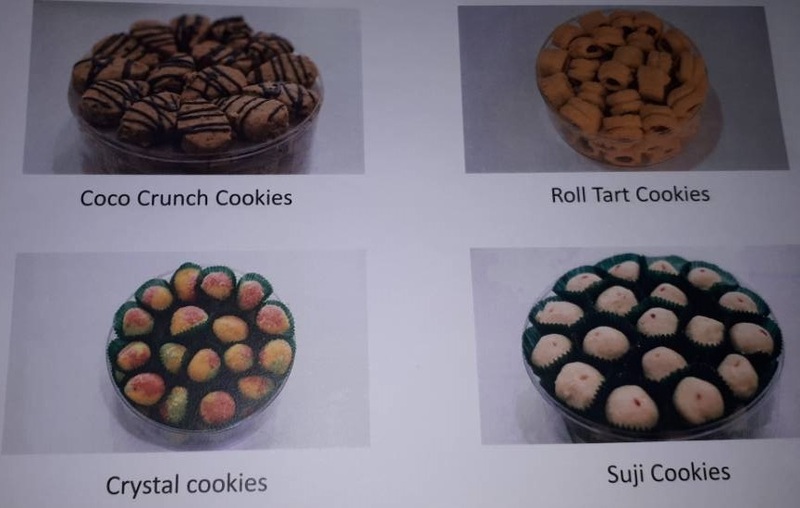 Above: Coco crunch, roll tart, crystal and suji cookies. 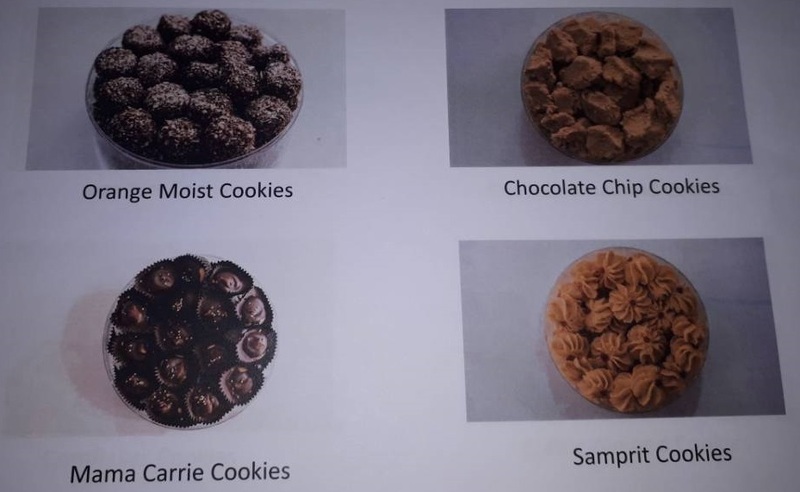 Above: Orange moist, chocolate chip, mama carrie and samprit cookies. Above: Jam tart, chocolate almond, cornflakes and coffee almond cookies. Note: This is not a paid review. 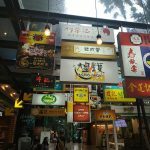 Reason I write this post is because I am aware that is sometimes tough for vegans to find purely vegetarian food and delicious treats like cookies. Actually I have really wanted to write this for long time already but could not find the time earlier. 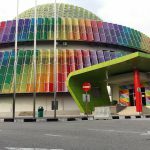 Years ago, when I had to help out in catering, I engage this caterer and I have been extremely happy with their services (read my review here and also during Deepavali catering).